Today is the (unconfirmed) date set by the Saab bankruptcy administrators for the final bids on Saab. We should have some very interesting weeks coming. Which suitor will be chosen as preferred bidder? Which suitor(s) will give up on Saab? One suitor has already dropped out. Turkish Brightwell Holdings dropped out at the end of February. Reason being General Motors reluctance to license technology to any new owner of Saab. Two other suitors we know have a serious interest in Saab, are Chinese Zhejiang Youngman Lotus Automobile and Indian Mahindra & Mahindra. Youngman has been in the race to acquire Saab for almost a year now. First the company were looking to become partner and part owner of Saab, later sole owner. The company has been reported to have made a SEK 2 billion opening bid on Saab. A bid the Chinese were open to increase if needed. In addition, they are ready to invest SEK 12 billion in the development of new Saab models based on the Phoenix platform. So far we have gotten no confirmation that Mahindra has made a bid. We just know that they have shown an interest. But according to TTELA and SR P4 Väst, the Indians have also placed a bid. Apart from that, we know very little about Mahindra's ambitions for Saab. But it is safe to assume that they are interested in the Phoenix platform. One week ago we also got the reports that a Japanese-Chinese consortium has placed a bid on Saab. The reports say that this consortium plans to start producing electric cars and batteries in Trollhättan. According to just-auto, the Japanese-Chinese consortium plan initially to use the 9-3 as the base for an electric car. But the cars will not be branded as Saabs. Sounds like a bad business case, doesn't it? But what makes it much more believabe and scary is that the Swedish government is said to be "heavily involved" in the discussions to sell Saab to this consortium. Several meetings are said to been held between the consortium, the Japanese government and the Swedish government. So who will end up as new owner(s) of Saab? According to a report in TTELA today, Indian Mahindra and the Japanese-Chinese consortium are the favorites. As always, these claims are based on unnamed sources and should be taken with a pinch of salt. But I know which of these two parties I want for new owner of Saab. Mahindra! Last cars to leave Saab's plant? Video of the last Saabs to leave Saab's Stallbacka plant in Trollhättan. Four former Saab workers have spent this week putting wheels, steering wheels and hand brakes on these cars. Now the cars are being transported to ANA Trollhättan where they will be completed and eventually sold. The first ever Saab, the Ursaab, is currently on a trip to Linköping to celebrate the 75 year anniversary of the defense and aerospace company Saab AB. The celebration will be held tomorrow Friday 30th March from 11.00-12.00 at the Air Force Museum (Flygvapenmuseet). Readers of Life with Saab will know that Saab AB together with Trollhättan Municipality and the Wallenberg Foundation earlier this year saved the Saab Car Museum from being sold on pieces and shattered. As part of the deal, Saab AB is allowed to borrow cars from the museum for such events as the 75 year anniversary celebration. Also present at the celebration will be Hans Osquar Gustavsson, who was one of the developers of the Ursaab. Gustavsson started to work at Saab in Linköping in 1940 and took part in designing the vehicle body of the Ursaab. He was also part of the development of the current Jas 39 Gripen figher jet. Here's an interview with Hans Osquar Gustavsson from 2007, when Saab - the car company - celebrated 60 years. Hans Osquar Gustavsson participated in designing the first Saab car and he was involved in developing the JAS 39 Gripen. The Ursaab was, however, a brief parenthesis in the airline manufacturer's 70-year history. The Saab 92 was not really a highlight when it sixty years ago, on the 10th of June 1947, was unveiled at the Saab canteen in Linköping. The car was smoothed with putty and painted over to hide the worst flaws, and it was definitely not drivable. "It took a lot of putty, but after the car was painted it was really nice," Hans Osquar Gustavsson recalls. Together with some fifteen Saab employees, including Sigvard Lenngren who was head of the tool planning, Hans Osquar Gustavsson was assigned from the regular aircraft production in Linköping to produce the first test car. "We had never built a car before. Most of the team did not even have a driving license. From the start it was clear that the work would be done like we did in aircraft construction. The car would be shaped as an airplane wing, aerodynamically correct, tested in a wind tunnel and everything," Hans Gustavsson Osquar said. 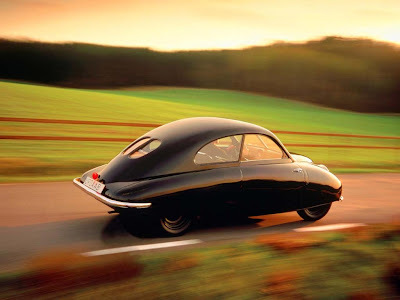 The first prototype was the Saab 92.001 and was completed in the summer of 1946. A 1:10 scale model was tested in a wind tunnel, which was very unusual in the automotive industry at the time but common for aircraft manufacturers. The 0.32 drag coefficient on the prototype was very low for a production car at that time. "We pinched ideas from various sources. Some did not prove successful. For example, the engine compartment was too narrow. In order to lift the engine out through the hood, it had to be turned around 90 degrees and lifted out with gearbox end first." The front was redesign on the second prototype, the Saab 92.002. The new front was of the "cascade" type, i.e. there was a chrome grille like on most post-war cars. The car was also modified so that the engine could be reached without to much trouble. This design, however, lead to a worse drag coefficient, which Saab was painfully aware of. Another problem was that the doors were hinged at the rear. It was argued that it was the best solution. Otherwise, the doors could get damaged when the driver backed out of the garage. But when the doors were opened slightly during a drive, they became wind catcher and people could fly out of the car. "We were a few who thought that this was dangerous at that time, but the doors weren't redesigned until the 50s," says Hans Gustavsson Osquar. There were several Linköping based companies that participated on the Ursaab. ASJ made machine parts, Thorells radiator factory loaned their panel beaters and Nordarmatur was in charge of casting. "We decided early on that the engine would be a two-cylinder two-stroke DKW type engine. But the engine was a little too weak, and we hired Malte Månsson in Linköping to tune up the effect." The transverse two-stroke engine was of 764 cc and 25 horsepower. The engine and gearbox were one unit. Saab 92 was the first standard car with a completely self-supporting steel body, which made it strong and stiff. Hans Osquar Gustavsson recall a test drive with the first prototype on the Norrköping road (Norrköpingsvägen). "The car was a monster to vibrate and make noise. I remember I had to stop and vomit on the road to Norrköping." Test runs were done in three shifts during the summer of 1946. Drivers from Philip's Bil AB, who participated in the project, drove night and day on the roads of Östergötland. The tests gave many tips on how the Saab could be improved and adapted to production. "It is fantastic that it turned into a car. It seemed unbelievable back then." When Saab began mass-produced of the car with the bottle green color in Trollhättan in January 1950, there were many who were interested in buying the car. But Hans Osquar Gustavsson did not want it. "No, the car was not good enough. I waited until 1956 when the 93 came with a new suspension system and a three-cylinder two-stroke engine. This Saab car was much better than the 92. And the four-stroke engine, which came later, rescued Saab from certain demise." Hans Osquar Gustavsson has always driven a Saab. He still has a Saab 900 from 1986, but driving is no longer an option at the age of 84. "My eyesight is not good enough to drive," he said. Last week we got the news that a Japanese-Chinese consortium is interested in acquiring the Saab bankruptcy estate to start producing electric vehicles in Trollhättan. It was reported that the electric vehicles would be produced under the Saab brand. In addition, also batteries are said to be planned for production in Trollhättan. "They have tabled a bid and are very aggresive - it is a Japanese-Chinese consortium," a source told just-auto. "They have serious money and are a serious competitor," the source said and continued "It's a huge consortium together with battery manufacturing - they are planning to make electric cars." But the future for electric cars is very much disputed. Some say electric cars is a false trail, while others embrace the technology. The hard fact is that currently electric cars are just too expensive to buy and do not offer the flexibility of the fossil fuel cars. Batteries are heavy and expensive and have a limited life span, and the cars do not offer the loading space and the travel distance that fossil fuel cars do. The acclaimed Chevy Volt/Opel Ampera (recently voted European Car of the Year) hybrid has sold so poorly (about 10,000 cars in 2011) that production was recently halted. Also last year's European Car of the Year, the electric Nissan Leaf, has sold poorly. Just a little over 20,000 Leafs left the Nissan dealer lots in 2011, and production for 2012 is only planned to 40,000 cars. In Sweden, where the Japanese-Chinese consortium now wants to manufacture electric cars in a plant scaled at producing 150,000 cars per year, the car buyers have still to embrace electric cars. Swedish Radio reports that only 25 out of 40,000 new cars sold in January and February were electric. In the UK, according to The Financial Times, there were only 1,000 electric cars sold last year, and in France only 2,000. In the US, in a year when auto sales were up more than 10%, sales of "alternative power source light vehicles" rose just 2.3%, according to WardsAuto. Only 18,000 electric cars (incl. plug-ins hybrids) were sold in the US in 2011 according to CleantechBlog. Gartner, the large technology market research firm, has forecasting 100,000 electric car sales in 2012 in the US. But 2012 has started slow. The Nissan Leaf only sold 1,154 in January-February and the Chevy Volt hybrid only 1,626 according to Autoblog. The introduction of more and more electric vehicles will drive the numbers upwards, but the main problem, i.e. high prices, will remain for a long time. A Ford Focus electric sells for $32,500 (including a $7,500 US government tax credit) and a home battery-charging unit costs a further $1,499. By comparison a petrol Ford Focus sells for $16,500. The Guardian reports that even industry executives are not optimistic. A survey of global car executives by KPMG recently found that they do not expect electric-car sales to exceed 15% of annual global car sales before 2025. This figure is still far higher than most independent analysts offer. So if the Japanese-Chinese consortium is successful in acquiring Saab, then maybe Saab will be an even more rare car than it is today. Maybe the Saab owners of the future will be even fewer, even more special and even more quirky than we are today. Today the last 50 Saabs will roll of the line in Trollhättan for now. But there is of course still a tiny hope that someone will acquire the bankruptcy estate and start manufacturing Saabs in Trollhättan again. The Saabs that will roll off the line today are the 50 incomplete Saabs bought by ANA Trollhättan from the bankruptcy administration. These 50 Saabs, together with 46 car bodies, will now be transported to ANA Trollhättan where the 50 Saabs will be completed and the 46 car bodies will be dismantled and used as spare parts. "It was nice to be back inside, but it should not be like this, it's kind of a spooky feeling, it's very empty and quiet, it does not feel good," says Johan Eriksson, who works at assemblying the cars. "We will put wheels on the cars and roll them off the line, and then we'll transport them over to Saab ANA where we will complete them," Eriksson continues. Here's a video from Swedish TV4 Väst (only in Swedish I'm afraid) covering the event. This week I got an email from three young Italian Saab enthusiast who run the Italian blog SAAB|news. They wanted to inform me and other fellow Saab enthusiasts about the event "Passione Saab 20th". This is an event created to celebrate the first twenty years of SAAB Club Italia. "My name is Franco Stupia, I am the President of Saab Club Italy and it is a pleasure for me to invite you to our next event. Not just a meeting but a great event for celebrating our birthday: 20 years of Saab Club Italy. Since 1992, year of foundation of Saab Club Italy, we have always promoted, kept alive and spread the name of the prestigious brand and after 20 years we want to thank all of our followers who support us each day. From 26 to 27 May 2012 you are all invited to "Passion Saab"
- 14.00: meeting place “Parco e Museo del Volo - Volandia”: direction Terminal 1 Malpensa Airport exit “Volandia”, follow Parco e Museo Volandia. - 16.00: Briefing and visit inside the Museum. - 18.00: end of the visit. - 18.30: Trasfer to “Hotel Montelago” in Comabbio, beautiful place on Comabbio Lake. Relax and c/in. - 20.00: Trasfer to the restaurant for dinner to Corgeno for a typical dinner. The restaurant is situated close to the Lake. - 9.30: meeting place - Lido della Schiranna (Varese): highway A8 Milano-Laghi,exit“Buguggiate/Lago di Varese”. Follow “Schiranna Lido”. - 10.00: registration and instruction for the Tour. - 10.30: (imperative)Beginning of the tour. During the tour we will play. I inform you that the event will be sponsored by major local authorities who have contributed to the programme of the Tourist Tour on Sunday, May 27, to ensure all participants one of the most spectacular routes in the Province "of the seven lakes." I hope to see you in Varese!" According to Swedish Radio P4 Väst, a Japanese-Chinese consortium has placed a bid on the entire Saab bankruptcy estate. P4 Väst's sources say that the consortium plans to start producing electric cars and batteries in Trollhättan under the Saab brand. In early February reports came through that Chinese Beijing Automotive (BAIC), together with Japanese Panasonic, could be interested in starting a co-operation for electric vehicles in Trollhättan. But according to local Trollhättan newspaper TTELA, BAIC and Panasonic is not involved in the new Japanese-Chinese consortium. The consortium is said to consist of companies from the supplier industry. "I can confirm that we represent parties which have interest in Saab. That's all I can say." According to sources the consortium is among the favorites to win the bidding for Saab. The consortium is said to be backed by financially strong partners and they are ready to pay a good price for the Saab bankruptcy estate. "They are big favorites, because they are financially very strong," one source said. The consortium is said to have met and held favorable talks with the bankruptcy administrators. "They have met a number of stakeholders around Saab and they are a strong card in the bidding," a source told Dagens Industri. The consortium is also said to have support from the Swedish government and Ministries. This would mean that we now have at least three more or less confirmed bidders. Chinese Youngman, Indian Mahindra and this new Japanese-Chinese consortium. Both Youngman and Mahindra are vehicle manufacturers and they want Saab's Phoenix platform and technical expertise and knowhow on regular cars. This new consortium on the other hand, wants to produce electric vehicle, which would mean the end to the Saab we know and love. The only thing that would carry on is the connection to Trollhättan and Sweden and the brand name Saab. So what do we want, a Saab based on the Phoenix platform or a completely new electric Saab? 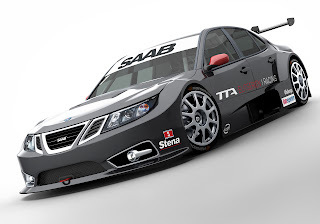 Last week we reported that Saab this year will race in the new Swedish racing series TTA. And today we got some pictures of the car out testing. The Saab Car Museum, which was saved from being shattered and sold in pieces earlier this year, will once again open its doors on Saturday. On the day of the grand re-opening, the museum opens its doors at 11:00 and closes at 16:00. Free entry all day long. At 13:00 there will be an opening ceremony. Earlier this year the museum was saved when Trollhättan municipality paid SEK 14 million, Saab AB SEK 8 million and the Wallenberg Foundation the remaining SEK 6 million to keep the Museum intact and in Trollhättan. To run the museum on a daily basis, the Västra Götaland region and the City of Trollhättan will each contribute SEK 1.5 million this year. 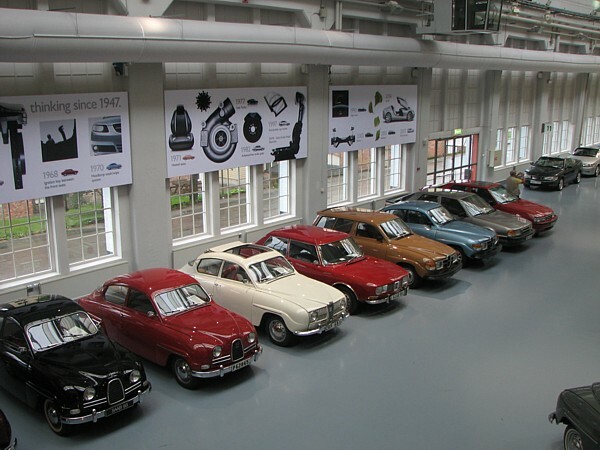 The Club for Saab Veterans will help to run the museum and give lectures and guided tours. After the grand re-opening, the museum will be open Tuesday to Sunday in the daytime. ANA, the company which bought the incomplete Saab convertibles on the production line from the bankruptcy administrators earlier this year, has now agreed with the administrators to also buy 50 more incomplete Saabs from the production line. We have reached an agreement with the bankruptcy estate to buy 50 cars which were in production and which can be completed, and also about as many car bodies that can not completed, but which we will use as parts," said Joachim Lind, CEO of ANA, to Swedish Radio P4 Väst. The deal also concerns of a large number of wheels and thousands of parts. Earlier today we had a written interview with Victor Muller from TTELA, now we bring you a radio interview in English from Swedish Radio P4 Väst. Enjoy! Local Trollhättan newspaper TTELA has done an interview with Saab's former large owner, Chairman and CEO Victor Muller. Here's a translation. "I have come out of it in a good way"
TTELA got an exclusive interview with him yesterday about life after Saab, the opportunity to spend time with family and plans for Spyker. It's cold at Arlanda airport and Victor Muller tightens the scarf around his neck. - It really is a temperature difference between Sweden and Mallorca. Has it been this cold all the time? When we have gotten into the car for the journey to the hotel in Stockholm - his friend Lars Carlström driving his Saab 9-5 - we start talking about the time that has passed following the bankruptcy. Victor Muller wants to look ahead. - I have kept a low profile. I have been available for the administrators, but they and the other stakeholders have not been in contact for a while now. I think it will change if and when an interested party emerge. He notes that it is a very difficult situation for anyone who wants to start operations in Trollhättan connected to Saab. Do you see any similarity to when you took over from GM? - No, it is very different. It's a completely different situation. The brand Saab was damaged after GM started to liquidate the company. But it's still nothing like now. - These three months have not been good for the brand. First, you have all the dealers who have disappeared, and you have the fact that hundreds of employees moved on to other companies. And not least, says Muller, GM's definite "no" creates massive problems for anyone who wants to manufacture Saabs. - Our friends in Detroit have made it terribly clear to everyone that they will not endorse any candidates. And they've done it in a public and aggressive manner. - I can not say why GM has this attitude, if it's because they are bound by their Chinese partners, or if it could be due to its partnership with Peugeot or something else. But it will be revealed in due time. The company he counseled, Turkish Brightwell, dropped out after making futile attempts to reason with GM. - It was a shame, Brightwell had really been an option. But an investment firm like Brightwell must have access to the Saab models. Not at least the 9-4X has a great value, a strong potential. For a vehicle company like Mahindra, one can incorporate the technology and brand in its own operations. Victor Muller estimates that it will take a long time if anyone wants to start production in the factory again based on the Phoenix technology. - At best, it takes 18 months, but more likely two years. But Victor Muller stresses that he is now involved in other projects. Recently he was at the Geneva Motor Show. - It was sad, because neither Saab nor Spyker were there. But I was very efficient and had 20 meetings. And there were no journalists. - Next year, Spyker will be at the show, he says with a firm voice. So far he has arranged interim financing from the U.S. GEM Fund, and he believes that he will manage to raise the funding to restart the luxury brand he is the father of. - With Saab, I had to raise five million euros a week to get it to go around. To arrange funds for Spyker, I need two weeks of Saab financing. He describes the situation and life now as a very much easier than last year. - Now I have productive discussions with parties, during the time at Saab I could go to China and come back with no results. - Compared to that it feels like a vacation now. Even in the private life the pressure has eased a lot, he explains. - When I was physically at home during the Saab-time, I was not there mentally. I sat engaged in phone calls all the time. Now I can be present. And he says he is back on his feet again, even though a lot of money were lost in the bankruptcy. - I invested 13 million euros in Saab and were backed by another 100 million euros through my financiers. A major financier was the well known Vladimir Antonov. - He is innocent of what they accuse him of. He became a power man, and the Lithuanian government in particular, had reason to bring him down. He should not have become shareholder in newspapers, which are critical of the regime. But in time we will see how it all relates. It would be a nice opportunity for a investigative journalist to look into it. There were many who were looking into Antonov earlier, so this could be a task for them. We are entering the Stockholm traffic and approaching the goal of the journey. TTELA asks how it feels for the first time since the bankruptcy the next day to speak in a public in Sweden. It will happen at the convention Innovation 2012, which is arranged by among others Swedish newspaper Svenska Dagbladet. - In public? Yes, I guess it is. I have gotten help on the topic from Anna Petre, but I never keep to the script. If you keep to the script, you lose the audience's interest, more people should try to speak directly to their audience, he says like it's a given thing. We talk about the entrepreneur and innovator Steve Jobs, the deceased Apple CEO, who also could mesmerize an audience and make product launches look like religious happenings. - I read his biography and laughed all the time. He was so cocky, but he was right all the time. Here you can really learn a lot about entrepreneurship and how innovations come about. Here we are - outside of Grand hôtel. Victor Muller asks us explicitly to say hello to everyone in Trollhättan and all former employees. - They are the ones I really cared about. When I went to the town of Trollhättan, people were always friendly and they always called me by first name, "Victor". I really felt that we had a relationship. 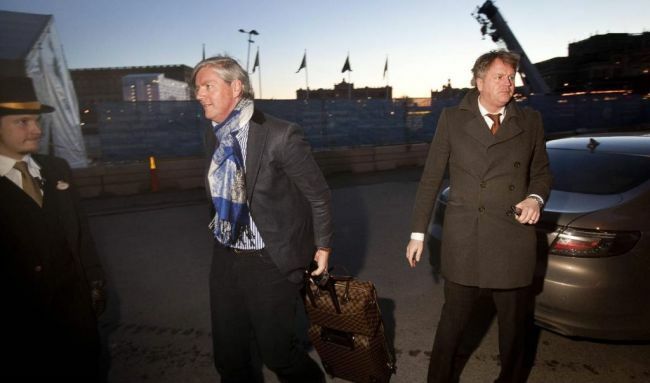 The tall former Saab boss takes his luggage and pass through the doors of the hotel. A shorter, older man passes the rotating doors in the other direction. Also this man has great experience from the Swedish automotive industry and also how unforgiving a situation can be when you do not succeed. It is P.G. Gyllenhammar. Since Saab filed for bankruptcy a number of engineering consultancy companies have been established by former Saab engineers. Last in line is DynaTech, a company which will focus on chassis development among large and small companies, but also training and event driving. What makes this company extra interesting is the fact that former Saab Performance Team drivers Kenneth Bäcklund and Kjell Olofsson are part of the company. And we all know that those guys know how to handle a car! But why would this company have any input on chassis development to offer to other companies in the car industry? "It is something we have much experience of from Saab. Compared to many other brands where they put down most energy into the car's active systems, at Saab we put down an equal amount of energy on those systems as we did on the testing and development which we were responsible for," says Stefan Rundqvist. Together with Per Skoglund and aforementioned Bäcklund and Olofsson, Stefan Rundqvist have established DynaTech at Trollhättan's Innovatum Teknikpark. In addition to offering expertise on chassis development, the company will also offer services to companies which want to test drive their cars on different kinds of roads and test tracks. DynaTech can offer an exceptional expertise on winter roads. Which is no surprise since Saab used to first set up its cars to drive perfectly on winter roads before fine tuning the chassis to be perfect also on tarmac. As you probably know by now, Chinese Zhejiang Youngman Lotus Automobile Co. is very eager to buy the entire Saab bankruptcy estate. Reason being Saab's high end technology, safety and brand name. But Youngman is already producing passenger cars. Last year 35,000 Youngman cars of two models were sold in China. And several new models are about to be launched. So what is a Youngman car capable of? Well, according to Guinness World Records, a Youngman-Lotus car has the record for the world's largest loop! There have been rumors out there in the blogosphere that BMW of Germany would be interested in acquiring Saab. But these rumors are now being denied by BMW. The rumor that BMW would be interested emerged back in early February, and just a few days later local Trollhättan newspaper TTELA made a phone call to BMW to inquire about the rumors. "That is presently not the case, but I need to ask my colleague in charge of matters relating to Saab," Markus Sagemann, head of communications at BMW said, and after checking with his colleague he continued saying "No, we have currently no such plans." "We have not changed our position on the issue," said Markus Sagemann. Sagemenn did however add that they could not rule out interest in some specific parts of the bankruptcuy estate. In addition to BMW, also Canadian Magna was been mentioned early in the process as a possible suitor of Saab. But also Magna now denies any interest in becoming a car manufacturer. "We will not compete with our customers, the car manufacturers," said Tracy Fuerst of Magna. Swedish Radio P4 Väst reports that according to a letter sent from the Saab bankruptcy administrators to the interested parties, the deadline for finals bids on the Saab bankruptcy estate is within this month (March). February 27th: Deadline for indicative bids. March 31st: Deadline for final bids. April 30th: Deadline to reach a deal for the sale of the bankrupcy estate. On a press briefing earlier this week, bankruptcy administrator Anne-Marie Pouteaux said that last week was spent evaluating indicative bids, answering questions from interested parties and assisting the parties in getting in touch with expertise like former Saab engineers, managers etc. According to Pouteaux, several parties have visited or plan to visit the Trollhättan facilities. The goal of the administrators is still to sell the bankruptcy estate as an entire entity. News concerning the Saab bankruptcy are few and far between at the moment. 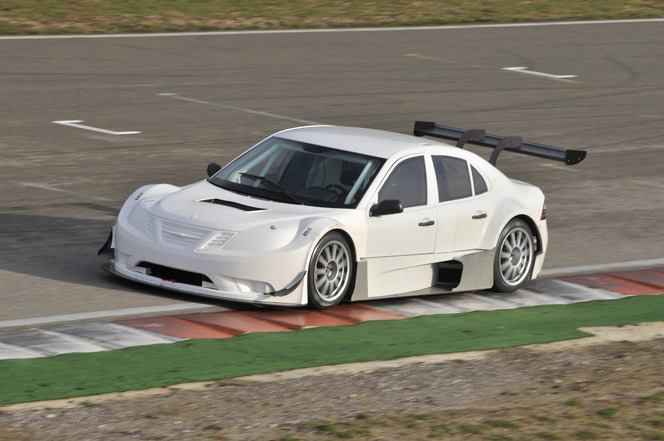 So instead let's take a look at some exciting Saab racing news! 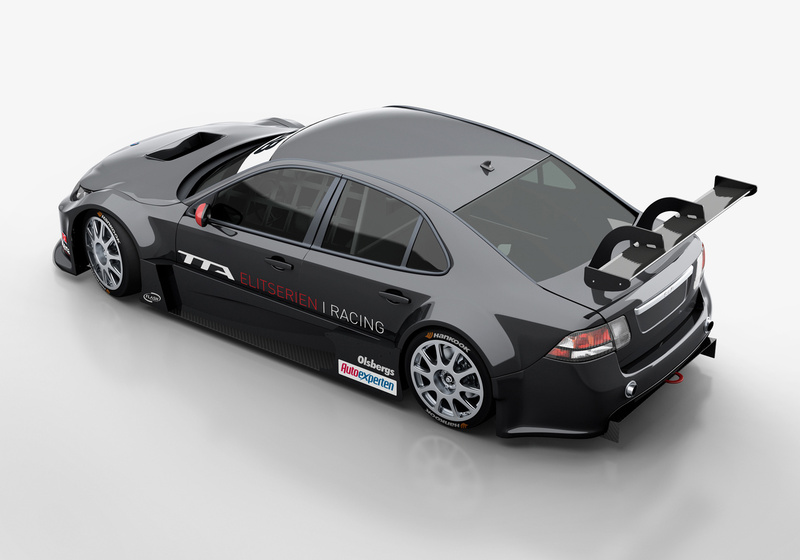 This year Saab will race Volvo, BMW and Citroën in the new Swedish racing series TTA. The Saab presence is a co-operation between Flash Engineering and Team Tidö and will be called tribute2saab. They will enter with four Saab 9-3s. Among others, Saab Automobile Parts will support the team. "We think this is a fantastic effort and it's great to see Flash Engineering and Team Tidö highlight Saab as a car with this tribute. It also gives us a good opportunity to show that we are alive and that we are still taking care of Saab cars in 160 workshops around the country," said Thomas Sundström, Director of the Swedish aftermarket at Saab Parts. "It warms my heart that Saab will live on at the racing tracks this year. 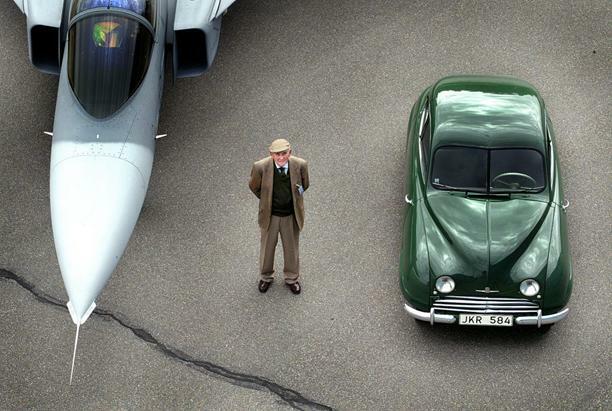 With so many wonderful memories that I have with Saab and so much Saab has been and still is part of the Swedish people, it makes me so happy to see that there are enthusiasts who feel this strong for dear Saab," said Erik Carlsson "On the roof". Updated with more info on availability of spare parts for the new 9-5. After Saab filed for bankruptcy on December 19th, I wrote a piece about future availability on service and spare parts for Saab cars. Now almost three months later, an update is due. The general impression is that there has been some problems obtaining parts, especially last autumn. But the situation is improving and has almost returned back to normal. First and foremost there seems to have been a problem obtaining parts in due time. But also some specific parts like keys and xenon lights have been problematic. "It has been chaotic for some time. It was at its worst last autumn, when it was hard to obtain body parts and bumpers, but even head lights and radiators. It concerned both the 9-5 and the 9-3," one source at a Swedish Saab workshop told Vi Bilägare. "For the 9-5 we have also had problems getting control units to xenon lights and for the 9-3 there has been trouble getting hold of key transmitters." But fortunately the situation looks to be improving. "The situation was troublesome last autumn, before the bankruptcy. During certain periods there was a serious shortages of some components. We had to hunt parts at a junkyard. However, today the deliveries are perfectly normal, no problems at all," said Lasse Eriksson from Saab dealer Min Bil to Dagens Nyheter. "We have gradually been able to order parts from Saab Parts, although it has taken some time. It has above all concerned body parts, headlights and xenon lights, things that are needed after a collision." "We have around ten customers who have not been able to drive their cars, among other things because we have not been able to deliver keys. There has also been a shortage of xenon lights." Parts for the new Saab 9-5 may have caused the most problems so far, but even for the new 9-5 parts will be available for several years to come. "Parts supply has been a bit on and off, some parts have been difficult to obtain. For the new 9-5 we have had some fuss obtaining parts, they've come a bit later than expected and still are. But I have not experienced it to be impossible to get parts," said Peter Hallberg, CEO of Swedish Saab dealers' association. "Saab Parts has built up a stock of parts to the new 9-5, among other things by dismantling the incompleted cars that stood on the production line. They have also pressed long series of body parts. Today you can buy a new 9-5 and be confident that it can also be repaired if needed," said Peter Hallberg. "There have been problems with long delivery times for a mixture of components, but it should be under control now. The situation has improved considerably," said Lennart Ståhl, CEO of the parts distributor Saab Parts. "We have bought a whole bunch of parts and we have plenty of sheet metal parts. When we need more we press more. Most tools are left in Trollhättan. If a new kind of business starts up there, we will just have to move the tools to other companies that can produce for us," Ståhl said about body parts. "We order parts from our suppliers when there is a demand for them. But it is true that we have had problems with obtaining components to xenon lights from a supplier in the USA. We expect to take delivery any day now, as far as I know." The reason for the difficulties experienced with getting hold of parts for the 9-3 and the old 9-5 could according to Lennart Ståhl be because dealers are hoarding stockpiles of parts. "The fact that the car manufacturer has gone bankrupt does not mean we have a problem. We have our own suppliers which deliver directly to us. But some companies have not understood that we are a separate and profitable company and that we do not have any payment problems," says Lennart Ståhl. Anyone who has followed the Saab saga the last months know that the Saab Car Museum was put up for sale by the bankruptcy administrators and saved in the last minute by Trollhättan City together with Saab AB, the Wallenberg Foundation and the Västra Götaland region. Now the grand re-opening date has been set. On Saturday March 24th the Museum will open its doors and once again welcome Saab fans and friends from all around the world! "I am a happy person," said Peter Backström, the curator of the Saab Car Museum, to TTELA. When Saab Automobile on December 19th 2011 filed for bankruptcy, the subsidiary Saab Automobile Parts (Saab Parts) was not included in the filing. Saab Parts is in fact a very profitable company. In 2010 the company had a turnover of SEK 1,697 million, made a profit (after tax) of SEK 391 million and the operating margin was 33.6 percent. Which is of course a very good result. The result for 2011 is expected to be about the same. Following the bankruptcy in its parent company, Saab Parts has been busy making the transition from being a subsidiary of a much larger company to being a stand alone company. Earlier Saab Parts could of course depend on its parent company for a lot of purchase and sale, financial and technical services. Now Saab Parts is on its own. New deals with parts suppliers have been entered into and a global distribution network has been established. And in Trollhättan, Saab Parts has hired 50 new employees to work with purchasing, sales, marketing and technical information. To take care of parts supply in Great Britain, which previously was Saab's third biggest market, Saab Parts established the subsidiary Saab Automobile Parts UK Ltd on January 1st. The subsidiary is managed by Corin Richards and has ten or so employees. Saab Parts UK continues to operate as normal and all 87 Saab authorised repairers in the UK still offers a full range of services. "Following the sad demise of Saab Great Britain Ltd at the end of last year, Saab Parts UK was set up to continue to provide a parts and customer care facility for the 188,000 Saabs that are on UK roads. Saab Parts UK has now established itself with its first successful month of trading and coupled with the on-going partnership from the network will continue to provide high quality vehicle care," Corin Richards said in a press release last month. Saab Parts UK has also set up a warranty product, Saab Secure, for the Saab owners in Great Britain. According to Saab Parts UK, Saab Secure offers Saab owners great value for money with up to five years cover priced from under £500. In addition, Saab Secure can also be applied to Saab vehicles that are already outside the original manufacturer three year warranty period. "Saab Secure is a very competitively priced warranty package that can be tailored to the individual requirements of owners, whether they are recent or historical purchasers. In light of the continued uncertainty surrounding the new vehicle warranty, Saab Parts UK provides customers with an alternative solution for their warranty needs." And for those owners who bought their new or used Saab with a complimentary free of charge servicing plan provided by Saab Great Britain Limited, Saab Parts UK is now pleased to confirm that these service plans will be honoured. For those who craves a new Saab but have been in doubt due to the warranty issue, this new warranty product could be the message they have been waiting for. And to make things even better, just one month ago 200 unregistered new Saab cars remained for sale in the UK through the established network of Saab authorised repairers. I bet many of these cars are still sitting in the lot just waiting for its new owner. Earlier today the Saab bankruptcy administrators held their weekly press briefing. To the media the administrators would not reveal their time table, and said only that a sale should be done before the summer. But Svenska Dagebladet's sources now say that the administrators want a done deal by April 30th. So far only Chinese Zhejiang Youngman Lotus Automobile has confirmed placing a bid on Saab. But Indian Mahindra & Mahindra has allegedly also placed a bid and possibly both even additional Swedish and foreign parties could have made bids. A delegation from Youngman arrived to Sweden last week and met with the administrators in Gothenburg on Friday before continuing to Stockholm on Saturday. In Stockholm the Chinese yesterday met the leader of the Swedish Social Democratic Party (Socialdemokraterna) Stefan Löfven, and today they were in a meeting with the Swedish Ministry of Finance. Present at the meeting was also representatives from Bank of China and China's Embassy in Sweden. It is unknown what the purpose of the two meetings were, but according to Svenska Dagbladet the matter discussed was probably issues concerning the company which sells Saab genuine spare parts, Saab Automobile Parts AB. This company was pledged as collateral to Sweden (through the National Debt Office which is placed under the Minstry of Finance) when Sweden in 2010 guaranteed a loan of SEK 2.2 billion which Saab took in the European Investment Bank. Reports from last week suggested that Youngman's SEK 2 billion bid on Saab does not include Saab Automobile Parts, but it is believed that the Chinese would also want the parts company and thus the meeting with the Ministry of Finance. It is unknown if the spare parts company will be part of the bankruptcy estate sale or will be sold separately by the National Debt Office (NDO). The latter is however the most likely scenario since the NDO now more or less owns Saab Parts after it in January paid off Saab's loan in the EIB. Meetings between the parties interested in acquiring Saab and the Ministry of Finance will therefore be of great importance to ensure a solution where Saab can continue as an entire entity developing, producing and selling cars and parts. Last night Indian newspaper The Indian Express reported that Tata Motors of Indian had placed a $350 million bid on Saab. Now Tata denies the bid. "We have not bid for Saab," said Tata Motors' Chairman of the board Ratan Tata to the Wall Street Journal. Chairman Ratan Tata is currently at the Geneva Motor show where Wall Street Journal asked him about the alleged Tata bid. "But another Indian company, Mahindra has," Ratan Tata continued. According to Tata's head of Corporate Communications, Debasis Ray, Tata has not even been at Saab in Trollhättan snooping around. And they are not interested in additional brands. So it would seem that Indian newspaper The Indian Express has mixed up the two Indian companies when it reported about the bid on Saab. Today the bankruptcy administrators held their weekly press brief. Here is a summary. Present at today's briefing were both main administrators Anne-Marie Pouteaux and Hans L. Bergqvist. "The process is proceeding as planned, we still have a dialogue with multiple interested parties. We answer many questions and expect the parties to soon hand in some sort of final bids," Bergqvist said. Like last time, the administrators would not reveal the time table for the process. But it was understood that so far the process has been mostly in the form of exchange of information. Negotiations for a sale has so far not been opened. "The next step is hopefully to start a negotiation and eventually reach an agreement with a buyer on the conditions of a sale," the administrators said. "We will not make any public comments, but we have our own plan on how to proceed. We have a dialogue with the interested parties where they share their thoughts and ideas. We try to guide them to what we think is a good solution." "We are working very hard to reach a complete solution," the administrators said. Last week the administrators did however sell Saab's part in the company e-AAM which develops, markets and produce hybrid and electric drive lines. "We are always interested in selling parts that we do not consider part of an overall solution. We turn every stone to see if we can find any tidbits." The administrators would not comment on the news from earlier today that Indian Tata Motors allegedly has placed a bid on Saab. According to Indian newspaper The Indian Express, India's largest vehicle manufacturer Tata Motors has placed a bid of around $350 million (SEK 2.3 billion) on the Saab bankruptcy estate. Tata is of course the owner of the English brands Jaguar and Land Rover (JLR) and has enjoyed much success with its earlier acquisition of foreign car brands. The Indian Express reports that it is understood that Tata's global acquisition team has been in negotiations with the Saab bankruptcy administrators and private equity players for a prospective acquisition. "We do not comment on speculation," a Tata spokesperson said. Tata will however have to compete with at least two other bidder, and one of the bidders should be well known to Tata. Last week it was reported that Tata competitior in Indian, vehicle manufacturer Mahindra & Mahindra, had placed a bid on Saab. In addition also Chinese Zhejiang Youngman Lotus Automobile has confirmed placing a bid. Youngman closing in on Saab? Last week Chinese Zhejiang Youngman Lotus Automobile travelled from China to Sweden with one goal: To return back to China with an agreement to buy Saab Automobile from the bankruptcy administrators. Time will tell if they can succeed. A large delegation arrived from China last week. 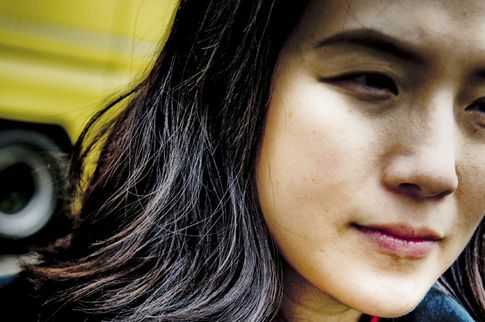 Present were founder and Chairman of Youngman, Pang Qingnian, his daughter and CEO of Youngman Automobile Rachel Pang, and also a representative from their Chinese bank, allegedly the Bank of China. "They do not wish to return home without the green light on the acquisition," a source told Swedish news agency TT. "In any case we will do our best. If Sweden gives us the opportunity to buy Saab, we will do our very best to revive Saab." After meeting the bankruptcy administrators in Gothenburg on Friday, the Chinese delegation travelled on to Stockholm on Saturday to continue the negotiations. Youngman would not make any comments on Saturday, but their Swedish spokesman and lawyer, Johan Nylén, said that the talks were at a very intensive stage had been "very positive". "First and foremost because Saab is a well known brand and because Saab has a good management. Saab has a team that can build cars of high quality and with a good reputation. Saab is a good brand and if it were to disappear, we would be very very sorry," Pang Qingnian said. "I want to produce automobiles with high quality, low energy consumption, low costs and low prices. From the aspect of strategy, we will win the market through high quality and low pricing. This is the direction of my future strategy. Let more consumers, spend relatively little money to buy good vehicles," Pang Qingnian said. "What we can say right now is that they are still working intensely with the acquisition. Youngman has the necessary funding in place," lawyer Johan Nylén told TTELA. "We have high confidence in the management [of Saab] and we believe that Saab with all the employees have a great future and if we get the opportunity to buy it, we welcome every employee back." "Since GM has stopped the production of the 9-5, we would like to start producing Lotus [based?] cars while we invest to develop the Phoenix platform," said Pang Qingnian to TTELA. 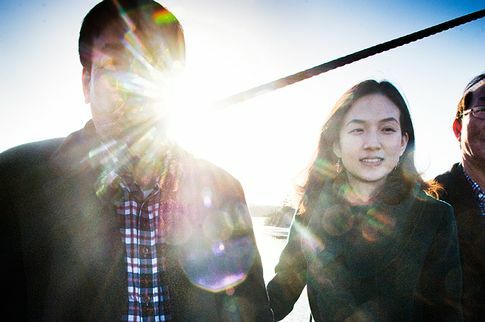 Pang Qingnian could however not say when an acquisition could be finalized. "We do not know when in time a transaction can be done. But the bankruptcy administrators are working quickly and are very positive." According to lawyer Johan Nylén, General Motors is no longer a decisive factor for the Chinese to buy Saab. According to TTELA, Chinese Zhejiang Youngman Lotus Automobile, is as we speak in a meeting with the bankruptcy administrators to discuss Youngman's bid on Saab. The delegation from Youngman consists of twelve people, including founder and owner of Youngman Pang Qingnian and his daughter and CEO of Youngman Automobile Rachel Pang. Representatives from a Chinese bank is also reported to be present. According to Swedish Radio P4 Väst, the Chinese bank is Bank of China, which is one of the four big state-owned commercial banks of China. This would indicate that Youngman has funding in place and support from the Chinese authorities. According to sources of Swedish business newspaper Dagens Industri, Youngman has made a SEK 2 billion offer which does not include the Saab parts business Saab Automobile Parts AB. Saab Automobile Parts AB has by Swedish authorities earlier been valued to at least SEK 2 billion, which would mean that the value of Saab as an entire entity, including the parts company, could be at least SEK 4 billion. Local Trollhättan newspaper TTELA reports that Indian Mahindra & Mahindra group is one of the bidders on the bankruptcy estate of Saab Automobile. Also Swedish Radio P4 Väst reports that their sources confirm a bid from Mahindra. On Tuesday the bankruptcy administrators said that they have received several interesting bids on Saab. Due to this, the administrators expressed optimism about continued operations at Saab in Trollhättan. All bids are however indicative, which means that they are non-binding bids that are negotable. At the moment it is unclear if the bid from Mahindra is on Saab as an entire entity or only for parts of Saab. But according to the reports, the bid from Mahindra does not depend on continued technology lincenses from General Motors. Mahindra is however interested in acquiring the Saab brand name, and reports indicate that Mahindra has shown interest in continued production of the current Saab 9-3 and of course the planned 9-3 replacement and other future models. Back in September 2010 Saab announced that the company had developed a new state of the art hybrid drive train. To market and produce this electric rear axle, Saab established a new company named e-AAM together with American Axle & Manufacturing. This new system was said to be just as big and important as the introduction of the turbo engine in Saab cars. Now American Axle & Manufacturing has announced that it has bought Saab's share of the company from the bankruptcy administrators. Detroit, Michigan, February 29, 2012-- American Axle & Manufacturing (AAM) today announced that it has acquired full ownership of e-AAM Driveline Systems AB (e-AAM) in Trollhättan, Sweden. e-AAM, previously a joint venture between AAM and Saab Automobile AB (Saab), was created to provide customers around the globe with innovative solutions for electric driveline systems including electric all-wheel-drive (eAWD), plug-in hybrids, and full electric vehicles. Under the purchase agreement, Saab's bankruptcy estate has sold its minority stake in the joint venture to AAM. e-AAM is now a wholly-owned subsidiary of AAM. This transaction gives AAM full control of the operation that will continue the full scope of engineering, developing and commercializing the full range of electric driveline technology systems for passenger cars and crossover vehicles. "AAM remains totally committed to e-AAM", said AAM President & Chief Operating Officer, David C. Dauch. "As a wholly owned entity, we now have greater flexibility to support e-AAM's customers without limitations. We are pleased with the progress we are making in this new and emerging driveline technology, and expect to play a leading role in this important new product segment." It's sad to see one of the crown jewels of Saab being sold, but I guess it was a necessity in the attempts to save Saab.